A great blue heron perches on a downed tree as its shadow is cast over the green water. Even though it was actively scanning and listening for movement in the water below, its perch seemed too high to have a chance at capturing any frogs or fish, so it may have been in reconnaissance mode. It eventually started hunting closer to the water. 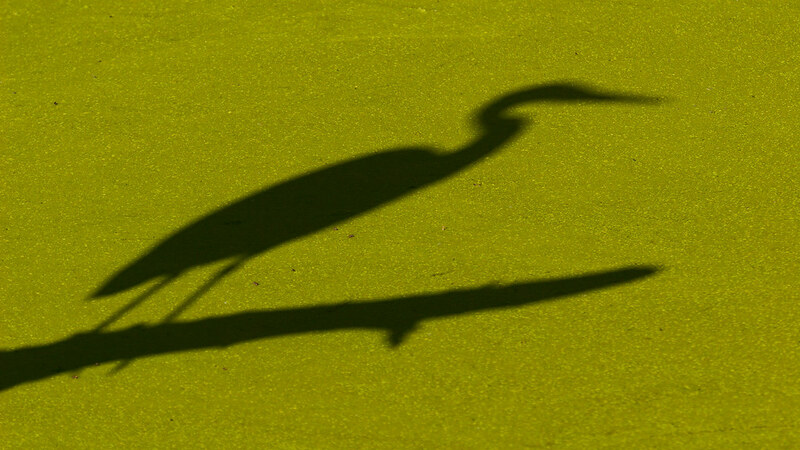 This entry was posted in Birds and tagged Bower Slough, duckweed, great blue heron, Kiwa Trail, Ridgefield National Wildlife Refuge, River S Unit, Washington. Bookmark the permalink.